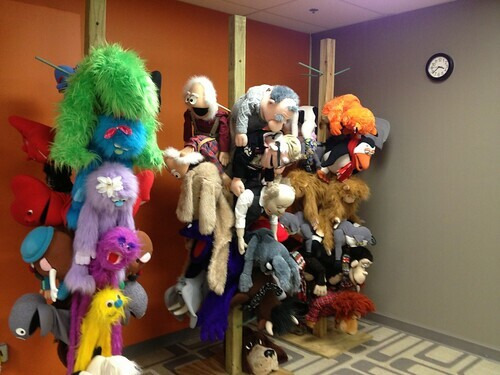 We’ve been posting a bit about puppetry lately and someone asked how we store our puppets. Thought I’d post the response here. 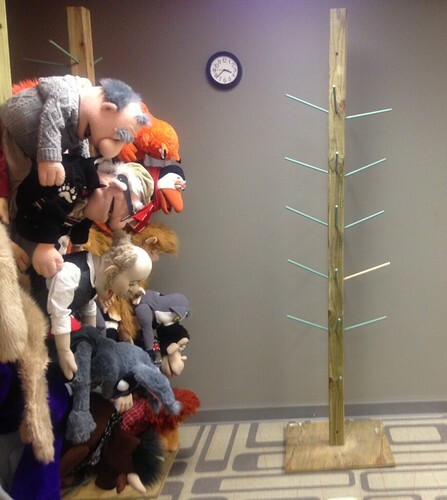 At the moment we have around 50 puppets, so to keep them relatively neat we built three puppet trees. 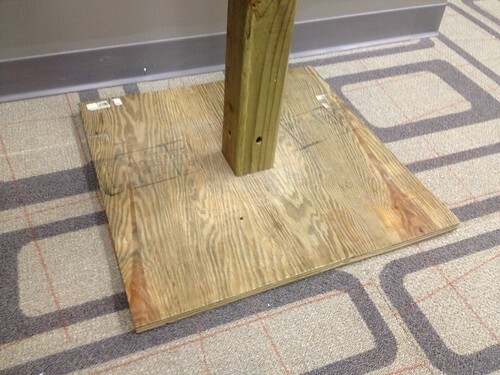 They’re very simple to construct and are made of three parts: (1) 2’ x 2’ 3/4” PLYWOOD BASE****(1) 4” x 4” BEAM (22) 2’ DOWEL RODS The construction is simple. 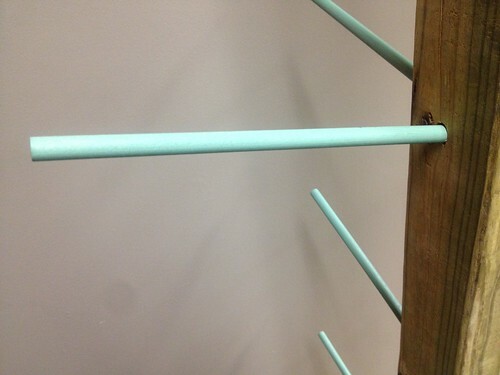 We used five 2 1/2” deck screws to attach the base to the center beam. The rods are about a half inch in diameter. We drilled holes about an inch of the way into the beam (and a foot apart from each other) at an angle and placed the dowel rods inside. These items can be purchased at any hardware store and I’ve attached photos. Let me know if you have any questions.